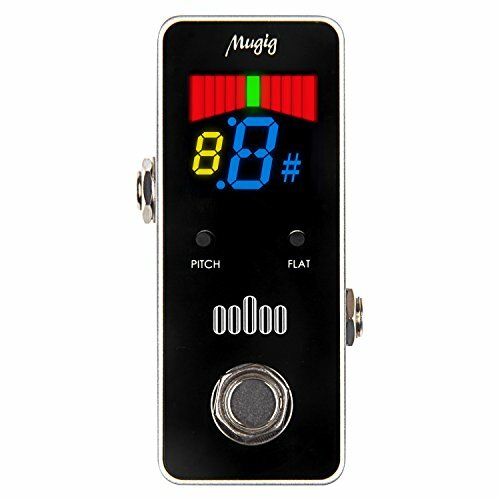 Mugig pedal tuner gives your electric guitar and bass the most precise tuning. FAST & ACCURATE: Experience speedy tuning with A1 precision. 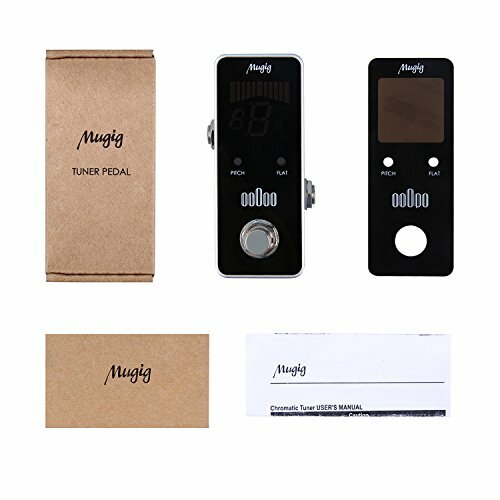 Housed in a mini pedal that's designed to fit on any pedalboard,Mugig tuner pedal lets you to spend less time tuning and more time playing. EASY-TO-READ DISPLAY: The color display is large, clear, and has excellent visibility under any lighting. 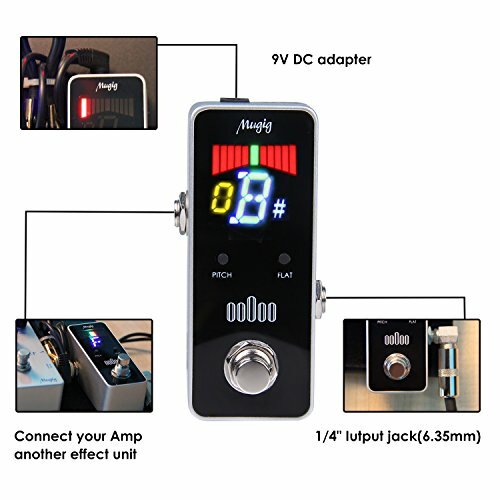 So whether you are playing at home, on a dark stage, or outdoors, this pedal has you covered! 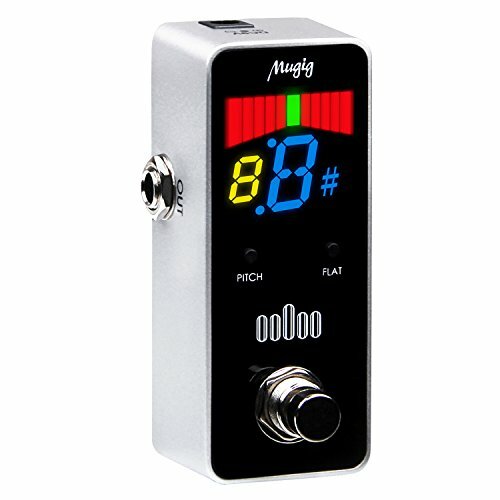 ZERO NOISE: The Mugig tuner pedal completely mutes the input signal when you're tuning, and directly routes the signal to the output when you're not. No tone coloring, or annoying "pop" and "hum" noises here. 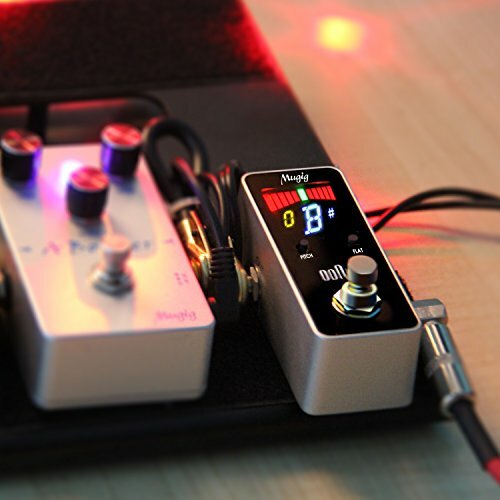 EASY TO USE: This pedal was designed with simplicity in mind. 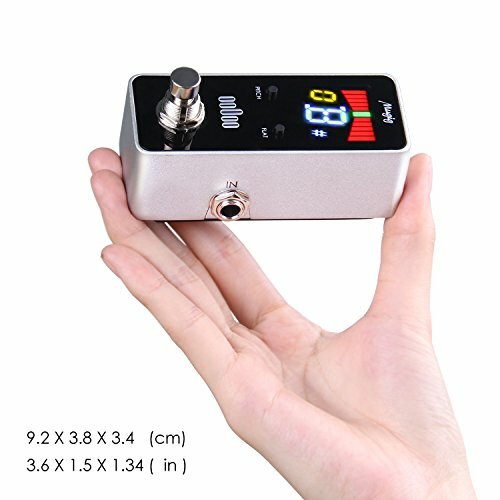 No confusing modes, hidden buttons on the side, or features that don't belong in a pedal tuner. 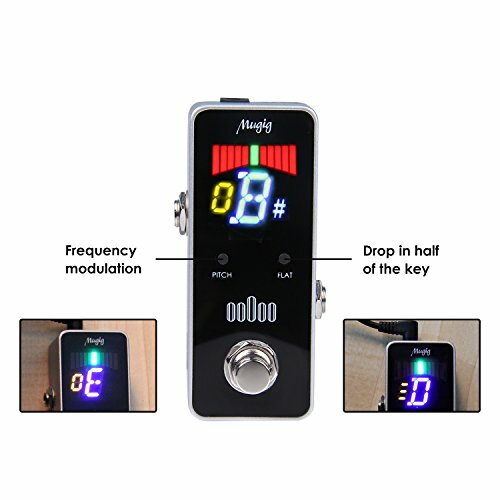 Simply plug in, tune up, and play some music! BUILT TO LAST: With rugged aluminum on the outside and quality components on the inside, this pedal will perform night after night, stomp after stomp. So that you can sound your best every single time.